Nielson kettles with capacities of 100, 150, 200 and 250 kg. 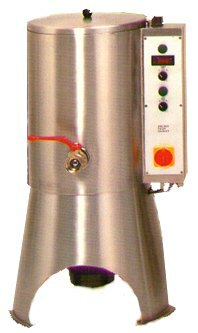 Thermostatically controlled water jacket with stirring/scraper paddles and draw off tap. Bains marie and table top units also available.